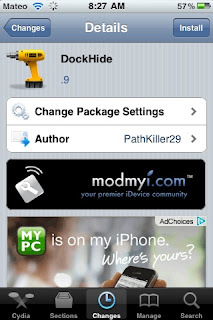 New tweak in Cydia, HideDock, allows the downloaded user to hide the dock on the springboard. Free on Cydia. Search for it.